GIGI is the recording project of Vancouver-based songwriter Nick Krgovich and producer/engineer Colin Stewart. In the spring of 2005 Stewart acquired two huge vintage plate reverbs and, eager to use them in a way that befit their history, he asked Krgovich to come up with a couple songs in the vein of classic Phil Spector/Brill Building pop hits and invited a large group of musician friends into the Hive Studios to record the songs live-off-the-floor. 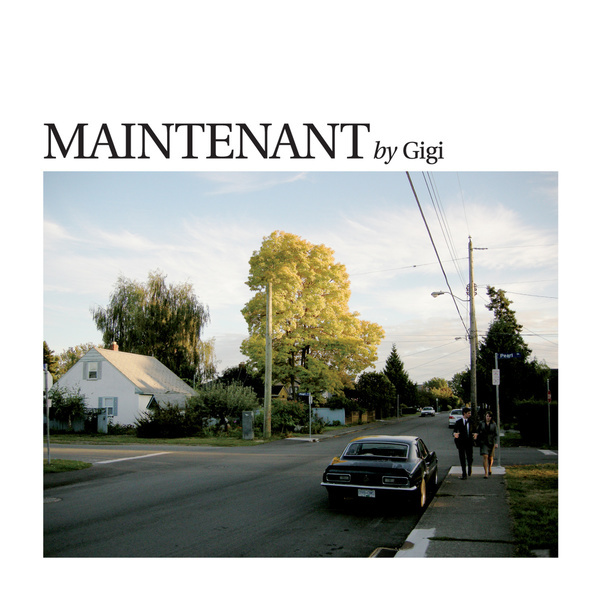 The results of that night were amazing, inspiring a string of recording sessions that took place over the following 3 years, collected here on GIGI's debut album "MAINTENANT". Capturing the spirit of the pop music that flooded the hit parade in the early 60's is a tall order, and the songs on "MAINTENANT" decidedly develop a world and language of its own. With a reverent eye on the past and a deep respect for the airtight songsmithery of artists like Ellie Greenwich, Jeff Barry and Shadow Morton (among countless others), the songs aren't content to be throwback-y pastiches or polka-dotted retro workouts but rather stand as attempts at working within a specific and incredibly rich tradition of pop music production. There is something deeply satisfying about bringing together a large group of singers and musicians, cramming them into the studio, running through a song a couple times and then hitting “record”. The shape of the songs forming on the fly and being coloured by the entire group, the intent and heart of the song crystallizing as the tape rolls. By the same token, the charming flubs and missed cues swirling in a dense cloud of reverb revealing sublime harmonies, soaring brass, and all the bells and whistles one might expect from a Krgovich/Stewart helmed project. In addition to Stewart's engineering and production credits on albums by Black Mountain, Cave Singers and Destroyer, as well as, Krgovich's other groups NO KIDS and P:ANO, GIGI has given the pair an opportunity to unabashedly profess their love of pop music in the most direct way conceivable, and this could not have been accomplished without the talents of the many players and singers that graciously helped out along the way. With singing contributions from artists such as Owen Pallett of Final Fantasy, Mirah, Zac Pennington of Parenthetical Girls, Katie Eastburn of Young People, Rose Melberg and Karl Blau, the character studies in the songs are voiced from wildly distinct positions giving the narratives of lovesick loneliness, solitary walks around the neighbourhood at twilight, and friday nights at home with parents watching television in the front room, just that much more poignancy. In the end, what began as a humble experiment four years ago has ballooned into a pop extravaganza that will sit just as comfortably next to your Back To Mono box set as it will your rotary phone, waiting to ring.